Bartoline Teak Oil is suitable for replacing the natural sheen that hard woods can lose after long periods drying in the sun. SKU: 9000006872 Categories: Grease & Lubricants, Oil Brands: Bartoline. 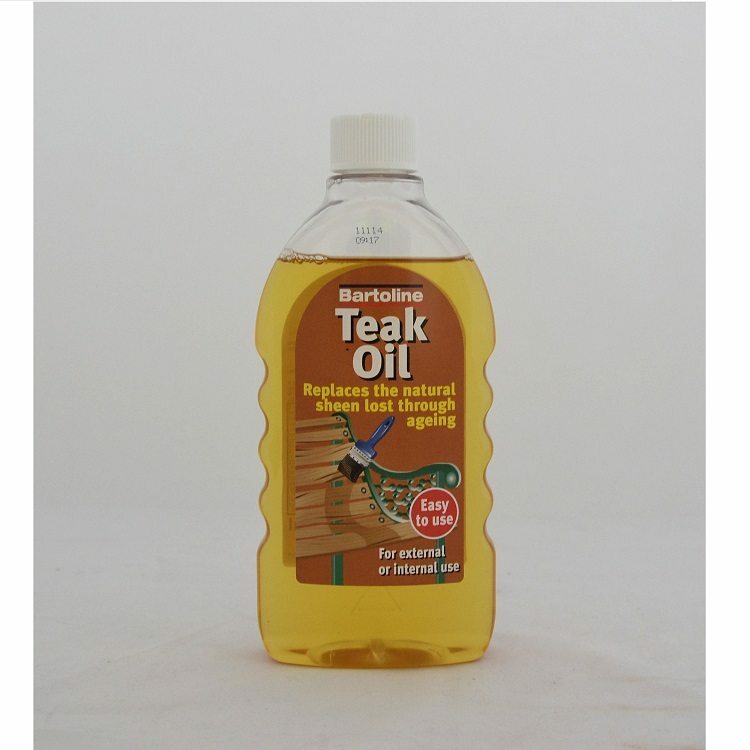 This is a popular wood treatment to replace natural oils removed by weathering. 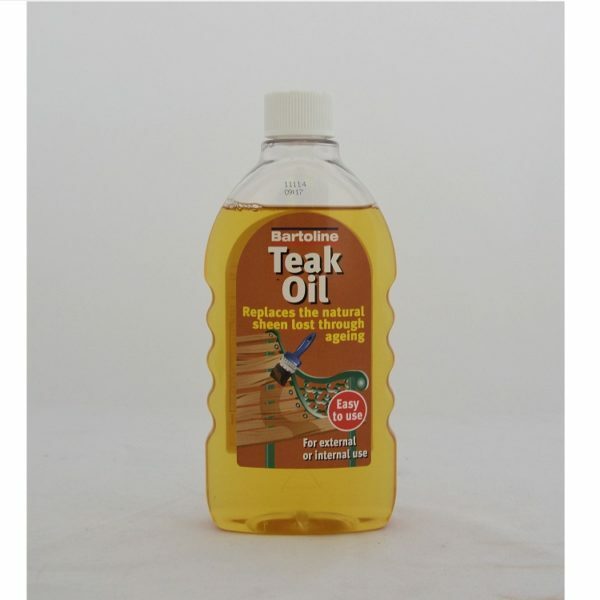 Can be used internally or externally on unpolished wood surfaces.Contains a solvent carrier to aid pentration of the oil into hardwoods such as Oak and Teak.